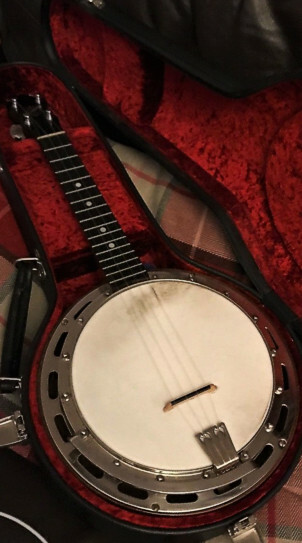 A lovely example of one of the most sought-after banjo-ukes there is. The quality and sound of the legendary Ludwig company, but this model, endorsed by the American radio star Wendell Hall, comes without the crazy price tag that the rare ornate Ludwigs have. Very nice condition, good plating and finish, plays beautifully with comfortable action and everything in good order. 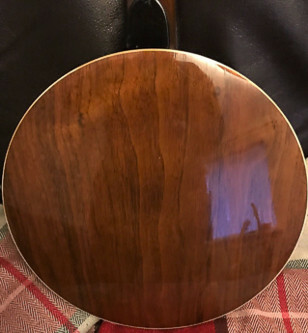 There is no damage - just some playing wear at the first three frets. A great instrument, which will be a pleasure to own and play. Buyer to collect or pay shipping/insurance from Tyneside address (UK).